Did you think I was done posting nail art today? Oh, you are mistaken because it is @sharnailstar’s birthday and @dianavnisselroy organized a birthday collage for her. 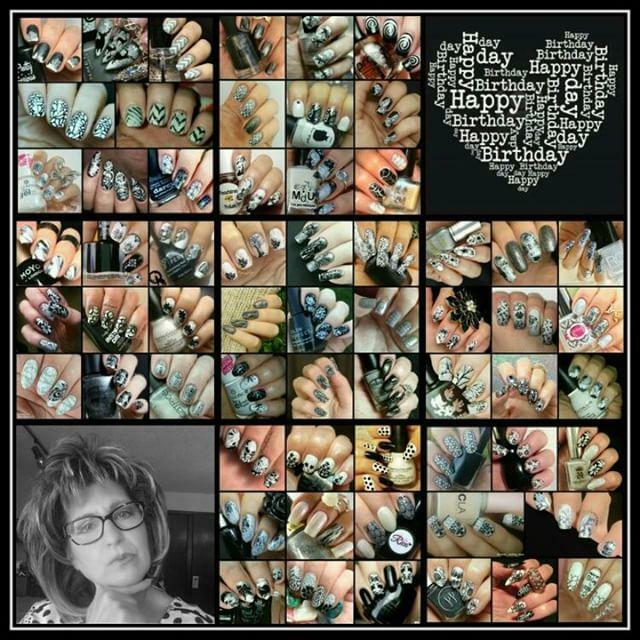 The theme was to do a greyscale version of one of Sharon’s nail art designs. 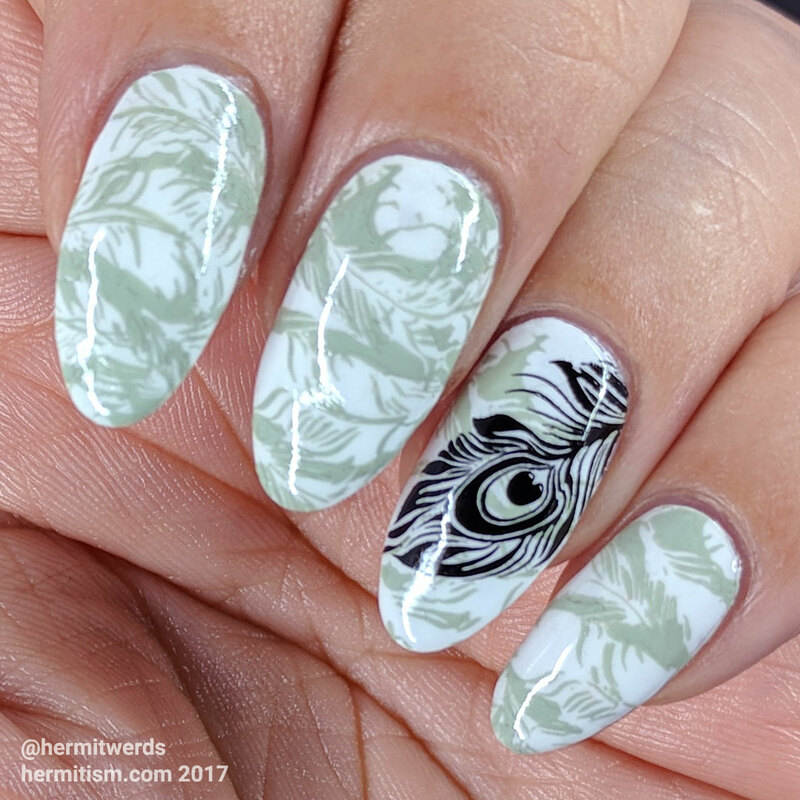 I searched around for something that spoke to me that I also had the same stamping plates for and would translate well to monochrome. I found three that fit the bill that were within a year or so and I just had to recreate the one with feathers. Feathers, like paper, are one of the things I’d just buy and hoard in droves if I didn’t have to worry about finances or storage space. So I finished my nail art and it didn’t look right. The lines on mine were all wispy and lame compared to Sharon’s. I re-checked her Instagram post and it turns out she double stamped to thicken the lines. Usually with double stamping nail artists are offsetting and using separate colors to make things more dimensional. But just thickening the lines is also a great use of double stamping. I’ve done it before, but usually I’m trying to darken a color that’s not opaque enough. 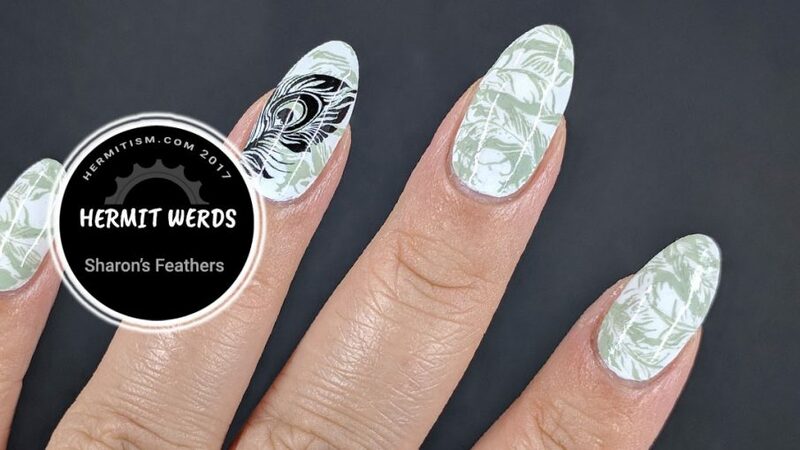 Sharon’s truly a master of the nail art game.